Put simply, Sequestration is the Scottish term used for Bankruptcy. Sequestration is a solution for an individual who cannot afford to pay their debts. Sequestration allows the individual to make a fresh start, debt free, but it does involve the loss of assets. 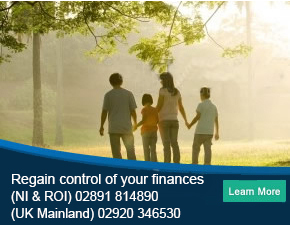 Do you live in Scotland and are you struggling to pay your debts? Do you feel that you want to make a fresh start by leaving your debts behind and concentrating on your family and career without the burden of creditor harassment? Are creditors failing to understand that you cannot pay them, and you feel that you cannot cope with the ongoing pressure? If you recognise some or all of these issues then you should seek advice on your position as sequestration may be an appropriate solution for you. At PJG Recovery we have a team of Scottish Bankruptcy experts to advise you on the effects of Sequestration and ensure that you have fully explored all other options before surrendering to this type of action or applying for your own Sequestration. We can advise on what you need to do to avoid being made bankrupt which may involve entering into a Trust Deed or another of the many debt solutions that are available to you. At PJG Recovery we offer impartial and confidential advice to both individuals and businesses struggling with debt and we have helped hundreds of people across Scotland and the UK deal with their overwhelming debt problems enabling them to become debt free and make a fresh start. If you need advice on Bankruptcy in Scotland then we can help. Enquire online or call us now on (NI & ROI) 02891 814890 (UK Mainland) 02920 346530 for free, confidential and impartial Sequestration advice. Who can apply for Sequestration? In certain circumstances you can apply for your own sequestration. A creditor can also apply to Court for you to be Sequestrated. There are a number of alternatives to Sequestration – A trust deed or debt arrangement scheme (DAS) are the most common. Introduced as recently as 2010, the Certificate for Sequestration was introduced to provide access to bankruptcy for persons who may otherwise have been excluded from the process. In simple terms, a Certificate for Sequestration provides documentary proof that you are “insolvent” and therefore qualify to become bankrupt. This documentary proof of insolvency can then be used as part of an application for bankruptcy. The document will be provided by a suitably qualified and approved person. Such persons may include the Money Advisers who work at your CAB or Local Authority. They also include Insolvency Practitioners (the firms that also handle trust deeds). To obtain a Certificate for Sequestration you will need to make an appointment with a suitably qualified and approved person. They are likely to require that you bring certain documentation with you to the meeting. They will work through a fact-finding process with you that will help them to determine whether you qualify and they can therefore issue you with the Certificate for Sequestration itself. As part of this process they will be able to advise you about other potential options to deal with your debts that you might also wish to consider. Once you have been issued with a Certificate for Sequestration you have 30 days to use it in tandem with an application for your bankruptcy. Low income means gross weekly income of no more than the standard national minimum wage for a 40 hour working week – currently £237.20 per week (September 2011). Any pensions or maintenance payments that you receive are also counted as income. If you are in receipt of income support, income based jobseekers allowance or working tax credits you will be treated as meeting the low income test even if your actual income is more than £237.20 per week. When calculating your income no account will be taken of other social security benefits or tax credits you receive or any income paid to another member of your family. Low assets means that you have no single asset with more than £1,000 and your total assets are worth no more than £10,000. In addition it means that you must not be a homeowner regardless as to whether there is any equity in the property. In some circumstances your creditors may not have agreed to your trust deed becoming protected. Such an event provides you with a route to become bankrupt; something you will be able to discuss directly with your Trustee. It is also possible that you have entered into a protected trust deed that has been ended prior to completion due to the resignation of your Trustee (and you have not been discharged from your debts). By way of example, this might happen if you become unable to meet the terms of the trust deed agreement, or if you fail to comply with your Trustee (they may also sequestrate you in such circumstances). If the Trustee does not discharge you from your debts when they resign, your creditors will be able to take legal action against you. If this is the case, and you wish to initiate your own sequestration, you will need to identify which of the other routes to sequestration is most appropriate for your circumstances. If you cannot meet the demands of creditors and cannot afford to pay any money to your creditors then Sequestration may be an appropriate debt solution for you. We would recommend that you seek advice regarding the alternatives that may be available to you before you apply for Sequestration or you allow someone else to make you bankrupt. The main benefit is that your debts will be written off and after a period of usually 12 months you will be discharged from your sequestration and will be free from your debts. What are the disadvantages of Sequestration? Assets of any value, like your house, car, savings and investments, shares etc. may be sold in order to raise the funds needed to pay your creditors. Some occupations are affected by sequestration and could result in you losing your job. Your credit record will suffer and a record of the Sequestration may remain on it for a period of between five and ten years. Sequestration will be reported in the local press as well as and the Edinburgh Gazette and you will be prohibited from operating as a Company Director. There are other possible disadvantages, so check with us before applying for Sequestration. This will depend on a number of different circumstances but generally if there is any equity in the property then that equity will have to be realised for the benefit of your creditors. This can be achieved by a sale of the house or by a joint owner offering to buy out your share in the house from the Trustee. Sequestration does not affect the rights of your mortgage company and/or any other secured creditors. If you are unable to pay your mortgage and/or maintain payments in respect of secured loans then your home may be repossessed. You will be allowed to keep a car if it is not deemed to be of excessive value and it is required for work purposes of travel to and from your place of work. If the car is deemed to be of excessive value then the car may be sold and you may be provided with funds to purchase a cheaper replacement. Will I be allowed to keep all of my income? If you have any money left over at the end of each month after paying for essential living costs then you may be required to make a contribution into the Sequestration each month. This will be payable usually for a period of 3 years. There are Court fees, which you may be able to apply for legal aid for, or if you quality for the LILA scheme then the cost is £90 payable on application. PJG Recovery do not charge for any initial consultation so call us now and talk to one of our insolvency experts and explore the options available to you. I need to apply for Sequestration. What are the next steps? Speak to a specialist Insolvency Practitioner before you take any steps. Call us on (NI & ROI) 02891 814890 (UK Mainland) 02920 346530 or apply online so that we can guide you through your options and help you with your application for Sequestration.